Leftfielder Ben Gamel scored from third base on shortstop Nick Noonan's one-out single in the bottom of the 15th to give Scranton/Wilkes-Barre, the Yankees' Triple-A affiliate, a 4-3 win over Lehigh Valley on Monday. Designated hitter Ramon Flores' RBI groundout with one out in the bottom of the seventh tied the score at 3 for the RailRiders (6-6). Second baseman Rob Refsnyder was 3-for-7 with a double, and first baseman Kyle Roller homered and walked twice. Third baseman Jonathan Galvez went 2-for-4 with two walks. After a pair of bad starts to open his Triple-A career, righthander Jaron Long turned in a solid outing, allowing six hits, three walks and three runs in 5 1/3 innings, striking out four. Long cruised through the first five innings, allowing just one run, but he gave up two singles and a walk to load the bases with one out in the sixth. Diego Moreno relieved Long and walked Tommy Joseph to force in a run. An RBI groundout scored another before Moreno retired Chase d'Arnaud on a grounder to short to end the inning. Nick Rumbelow, Jose Ramirez, Tyler Webb and Danny Burawa combined to strike out eight in eight scoreless innings of relief, allowing just two hits and two walks. Brady Lail allowed five hits in 5 1/3 scoreless innings, striking out two and lowering his ERA to 2.00, but the Thunder bullpen imploded in a 10-0 loss to New Hampshire. The Trenton lineup totaled just two hits -- both singles by centerfielder Jake Cave and third baseman Eric Jagielo. Rightfielder Aaron Judge, first baseman Greg Bird, catcher Gary Sanchez and Jagielo each walked. 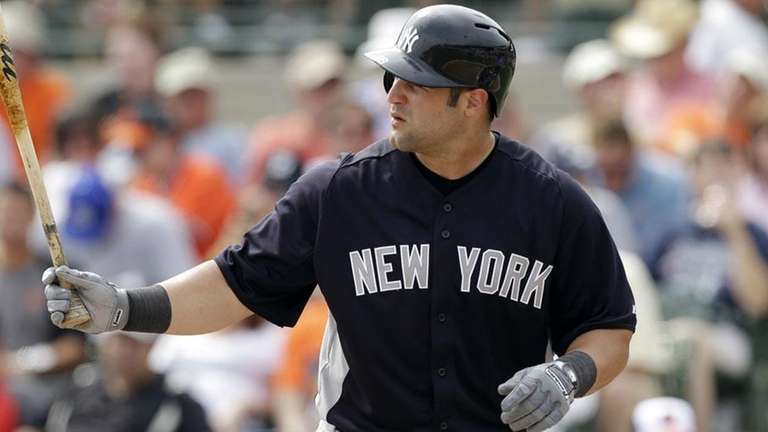 Designated hitter Matt Snyder was 4-for-5 with a double, a walk and four RBIs, and leftfielder Ericson Leonora went 2-for-5 with two doubles as the Yankees clobbered Clearwater, 12-1. Rookie Davis struck out seven and allowed four hits in 5 2/3 scoreless innings to lower his ERA to 0.54. Andrew Bailey tossed a scoreless inning of relief, striking out one. Leftfielder Brandon Thomas drove in the tying and go-ahead runs with a one-out single in the top of the ninth as the RiverDogs beat Augusta, 5-4. Rightfielder Austin Aune went 2-for-4 with a triple and two runs scored and third baseman Abiatal Avelino was 2-for-5 with three stolen bases.